1. Use the Ribba picture ledge and the LOSJÖN knobs to create flat, vertical shoe storage. 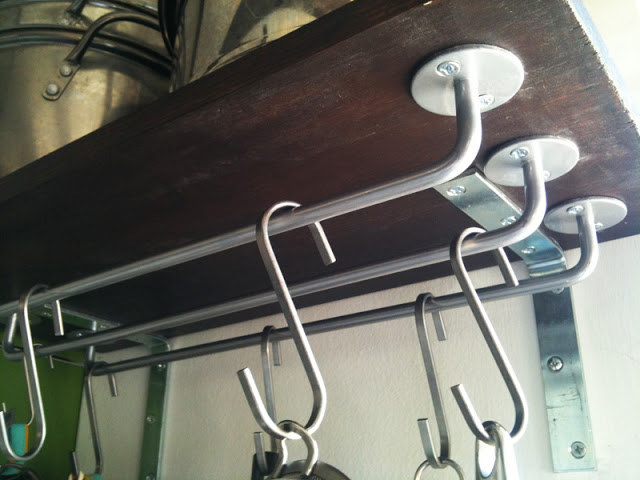 Read more about this tiny space shoe rack hack here. 2. 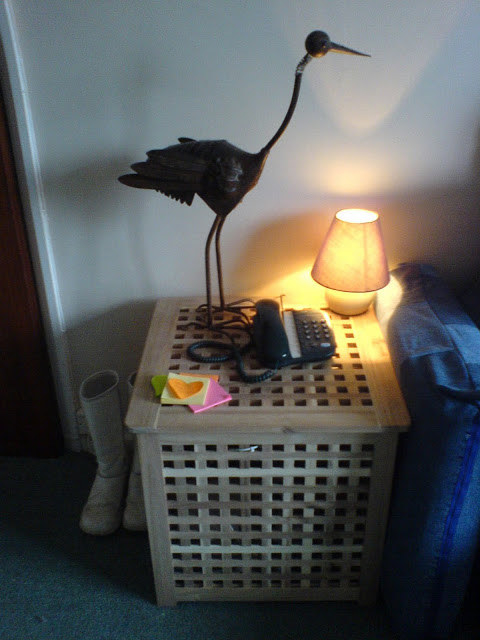 Or use the SPONTAN newspaper racks (classic IKEA!). 3. And here's an over-the-crib hack, using the GULLIVER crib, FIXA felt pads, and a wooden board. It's super simple! Get the tutorial here. 4. The FULLEN mirror cabinet can be used as a nightstand in a very narrow space. 5. 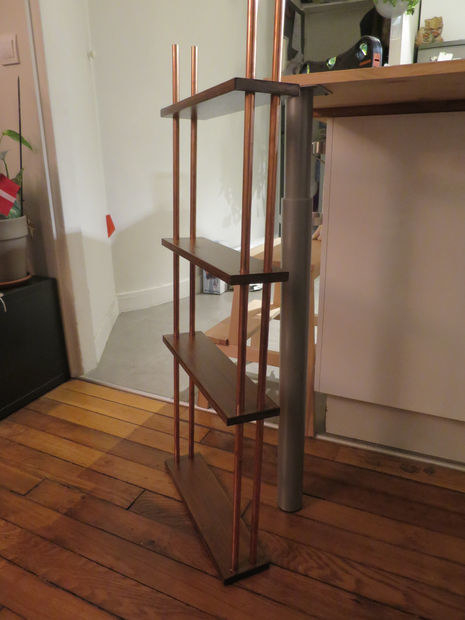 This LACK shelf is both space-saving and minimalist. 6. The RATIONELL VARIERA pot lid organizer can actually double as a boot holder. 7. 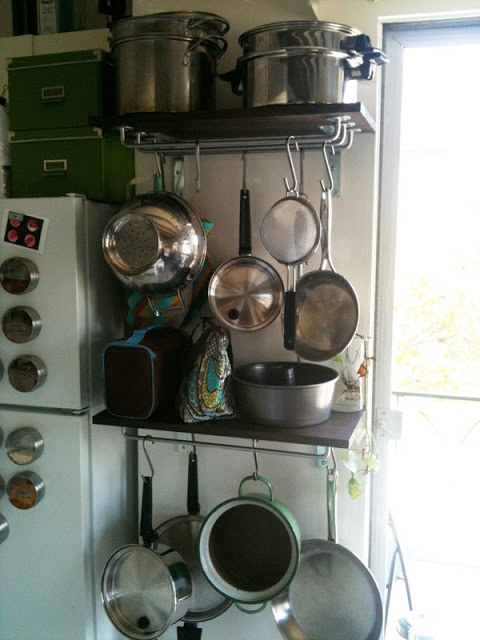 Attach BYGEL rails underneath wooden shelves to create an impromptu pots and pans rack. 8. 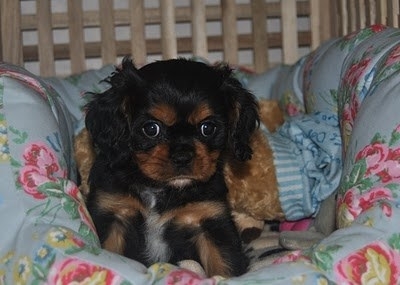 The HOL storage bench becomes a puppy crate that doubles as a nightstand/table. 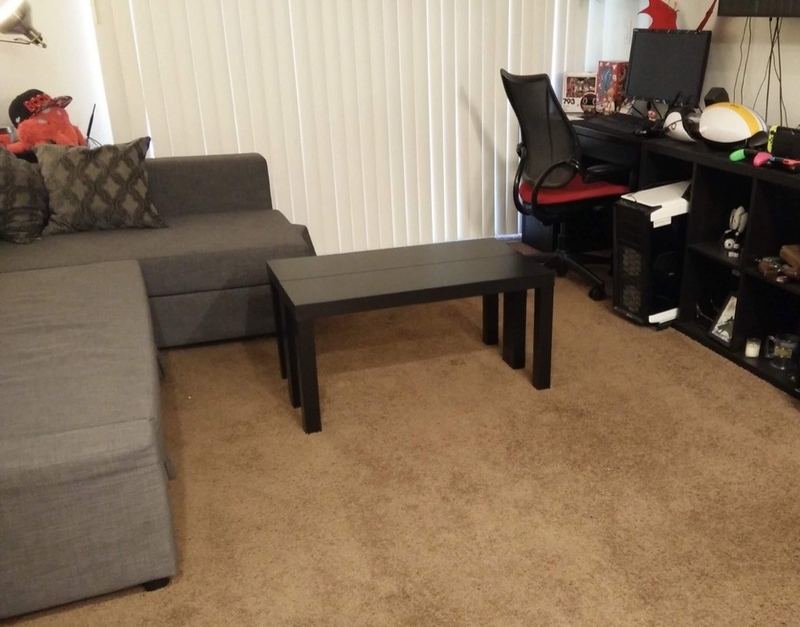 You'll definitely wanna read up on how this IKEA hacker used spare carpet and a plastic bag to keep the wood from staining/rotting/whatever other terrible things happen when you mix wood with anything wet. 9. 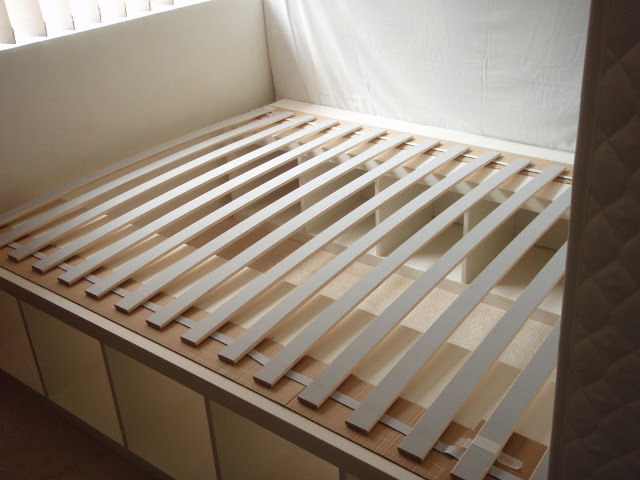 Hack together two FJELLSE twin-size beds to create a trundle bed. 10. How cool is this little studio workspace? This workstation would make me excited to work from home everyday. Get the directions here. 11. 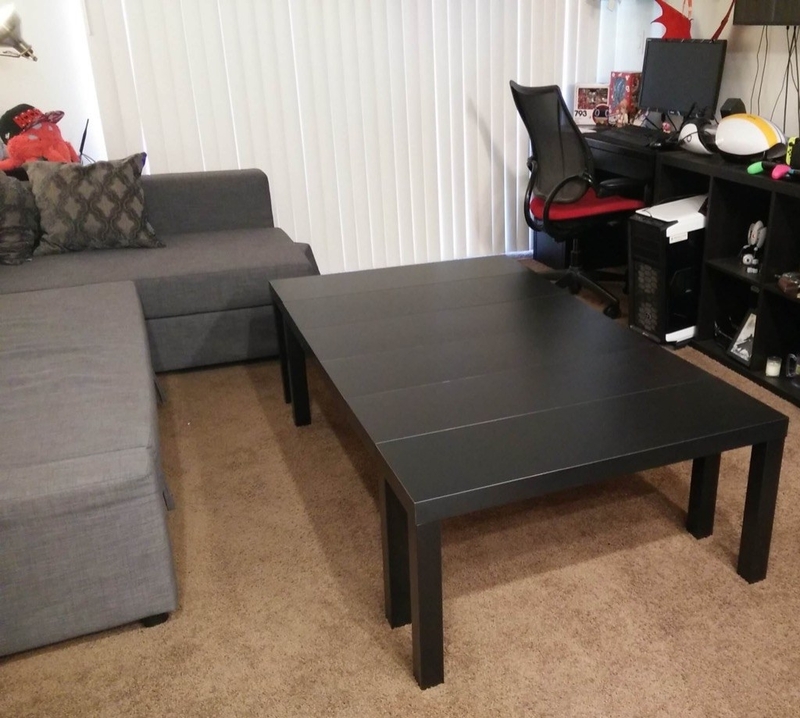 A LACK TV unit expands from a narrow coffee table into a large surface to play board games on. 12. No room for a coffee table? FROSTA stools make great little trays that attach to your sofa. 13. The STOLMEN post and mounting fixtures become a cat scratch tower that takes up way less space than your typical cat tree or cat condo. 14. 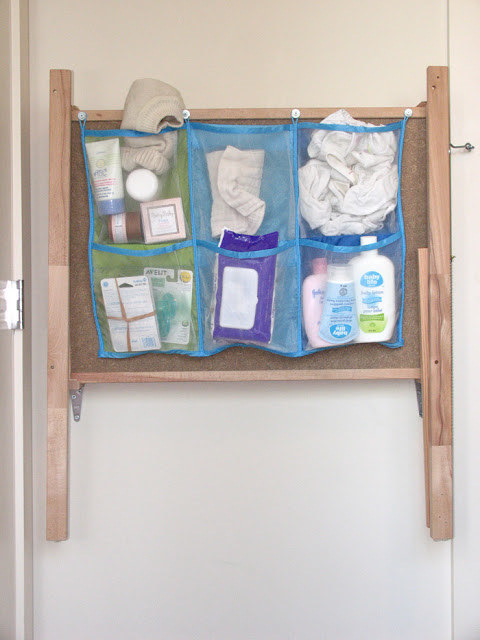 Hack a SNIGLAR changing table to not only fold out but also store your essential baby-related items. 15. 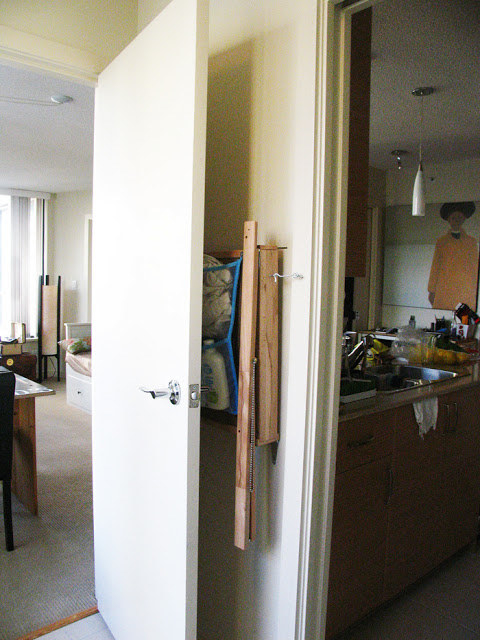 Unassembled BEKVÄM spice racks form a sliding pantry for a very, very narrow space. 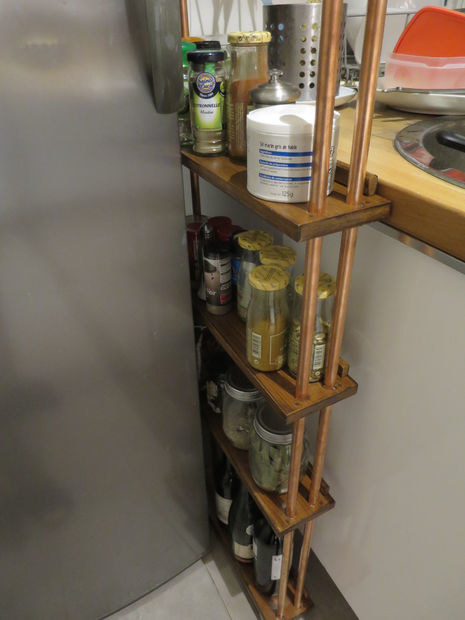 This IKEA Hackers user only had an 11cm sliver of space in their kitchen, which is a hell of a space limitation. 16. 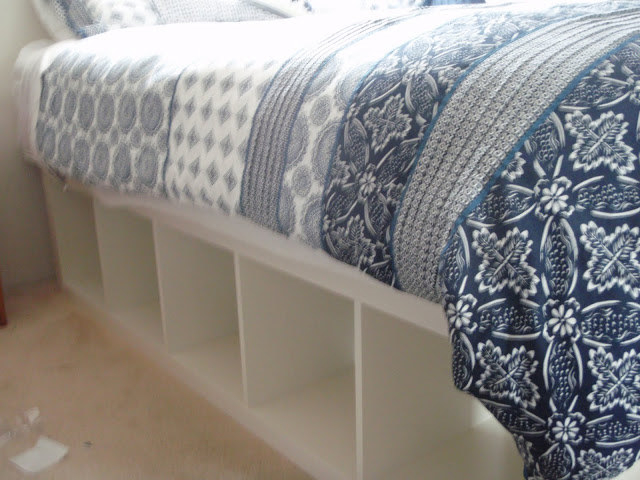 Maximize your underbed storage by using EXPEDIT shelves. Attention IKEA designers: release this as an actual product! Get the instructions here.